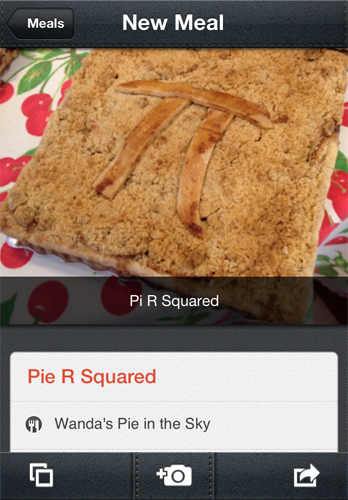 Evernote’s popular note-capturing technology can now be used to create journals for special meals. Perhaps you’ve been experimenting with homemade tacos and one combination turned out better than the rest or you’ve found a new restaurant that serves brisket as if it’s from an old country kitchen, Evernote Food lets you snap a photo, add comments, and location information. As you capture more meals, the app puts it all together into a beautiful photo essay. You can create entries that document each step in making a meal or log interesting ingredients and the stores where you’ve found them for reference later. Everything is synced to Evernote’s cloud service, making it easy for you to access the information on other devices or share it with friends and family. With an online connection, Evernote can match your content with related results, both from other users and from notes contained in your main Evernote account. It’s a polished and easy service to use. If you have a flair for fashion, chances are you’re already using your camera to document your favourite outfits. Pose lets you go one step further, tagging your clothes and accessories the same way you’d tag friends in your Facebook pictures. Now when you share your pics online, your friends can find out what label or store is behind the dress or purse you’re wearing. Assembled into splashy magazine-like spreads, your Pose photo collections become glossy look books that can earn you followers and feedback from across the Pose network. Answer a quick style guide and Pose will fetch a collage of matching entries from other collections that match your own interests, to peruse, follow, and buy through tagged brands. Pose is new to the iPad, arriving on the tablet with two exclusive features – the ability to shop based on users who have become marked as influential (and so earn a fee if their accounts spark transactions) and the ability to create your own fashion collections as a way to better organized your closet. Understanding how our body works can help us make better choices regarding our health. That’s the idea behind Body Maps from GE’s Healthymagination, which combines detailed 3D anatomical models with the latest articles and health guides. As you dive deep into the body, going through the layers of skin, muscle, nerves, and bone, you can focus on any specific part and the app will respond by first bringing up any related animations or videos that demonstrate its function, then by retrieving current medical research or advice from medical experts on related conditions. 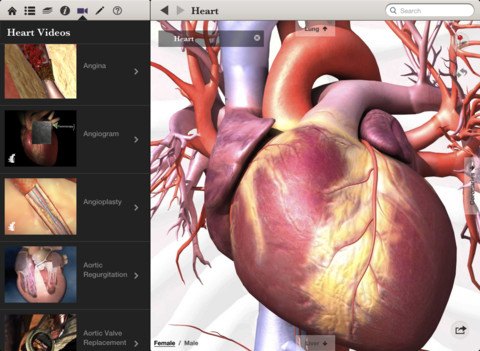 While there are many anatomy apps that let you explore the body from all angles and layers, this is the first to offer just as many layers in related information. If you focus in on the knee you’ll get a basic description, followed by an in-depth one, followed by sections on sports injuries, joint inflammation, the truth about stretching, and advice on pain relief and arthritis. It goes far, far beyond the standard encyclopedic entries most health guides offer making it a valuable resource for anyone sent home from the doctor’s office in confusion and in need of better clarity. You can try out a free web version of the app here.